It’s been five years since the Australian Radio Network (ARN) launched KIIS 1065, a new-look station to house Sydney FM breakfast duo, The Kyle & Jackie O Show. 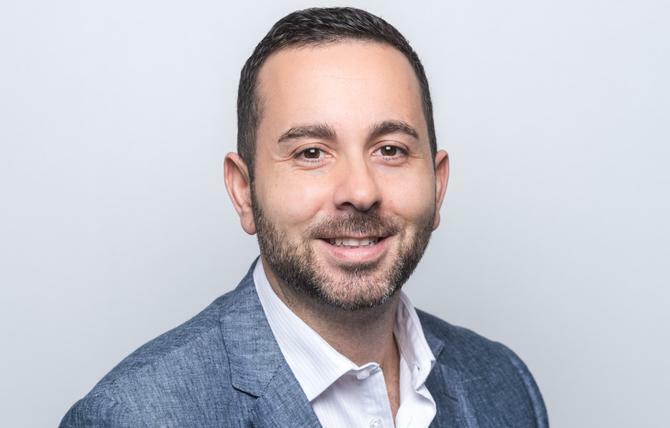 And if there’s one thing chief marketing officer, Anthony Xydis, is quick to pinpoint as a lesson, it’s the importance of recognising where opportunity lies. Last week, Xydis and his team took the wrappers of a new multi-platform campaign which both celebrates the five-year milestone, as well as highlights a new campaign position: ‘Hear it, love it, KIIS it’. The campaign is being carried through outdoor, digital and social as well as two new TVCs, and is aimed at highlighting the irreverence of the brand and its two high-profile stars, while tapping into the vibrancy and energy of Sydney’s culture. Hot on the heels of debuting this next phase of KIIS 1065, Xydis shares the five big strategic marketing lessons he’s learnt over the past five years of building this iconic brand. ‘Brilliant Basics’ are often overlooked in brand building. Doing the research, understanding your audience, getting your positioning right and developing the brand identity all need to be kept simple so that everyone gets it, internally and externally. Being distinctive doesn’t have to be complicated. With only eight weeks to turn around the launch of a station, without this focus it would have been a fast road to failure. I have a strong belief that marketing should be the nexus of the business. In that sense, all marketers need to have great discipline with stakeholder management. Internally, not only with the CEO/ CFO and people/culture teams, but in my case the talent, content creators, commercial teams, the whole business. Externally, it’s important that in any agency relationships, if you want a great outcome you need to be a great client. Set up what that means at the start. It’s important to recognise opportunities for your brand. For KIIS, the creation of a new brand was amplified by the move of Kyle and Jackie O. We embraced their relationship to create a new entertainment brand. You don’t get many opportunities like that, so having the team focused on identifying them, particularly at launch is critical. It’s so obvious, but having rigour to this understanding underpins any movement we make with the station and marketing elements. Being data and insight driven should be the mantra for all marketers, but first identify your most valuable data sets and the best technology to make it easy for everyone to understand and utilise, every day. Every brand evolves, and in our five years this has been characterised by significant shifts in technology, an increase in off platform content, music and more. To maintain relevance and attention, every brand needs to stay fresh. This could be subtle or overt, but feeling new and current does hold an aspirational factor, particularly in entertainment.